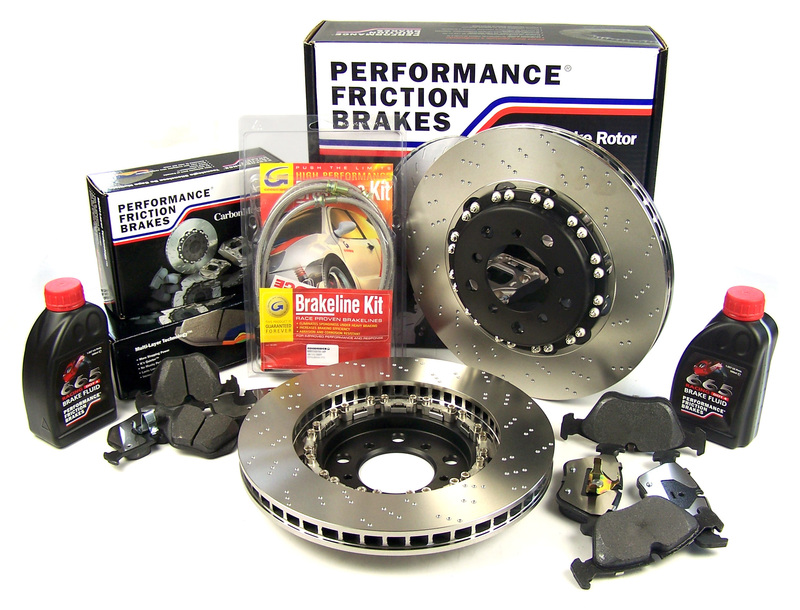 All PFC RaceReady Brake Pads are pre-treated to be race & street ready. This treatment is done in the final stage of the manufacturing process, when the surface of the friction material is brought up to temperature in order to simulate a bedding cycle. However, proper bedding is still required using your installed rotors with the new CarbonMetallic pads. The following process below is PFC’s suggestion, in order to achieve the best performance, consistency and durability of the brake pads. On the first lap, perform several stops with progressively higher pedal pressure and braking force and from increasing speeds. You will feel the effectiveness of the brakes increase with each successive braking application. This should take 6 to 10 snubs per lap and is usually completed in one or two laps. If non-PFC friction materials was previously run on your discs, then this procedure could take as many as three to five laps. Running additional laps is the best way to accomplish the new transfer layer and, to produce the required higher surface temperatures; this should ensure a complete removal of the old friction materials from the surface of your discs. The disc should be allowed to cool as much as is practical, with ambient temperature being ideal. Allowing the disc to cool to an ambient temperature will increase the disc life and it’s performance. The pads are now properly bedded to provide consistent performance. The pads should be brought back up to the operating temperature range to guarantee optimum braking power. This range depends upon the specific compound.